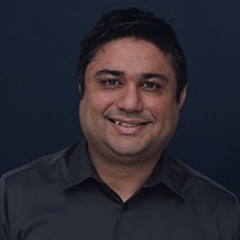 Neil Jariwala, M.D. is a dedicated psychiatrist serving the community of Johns Creek, GA. Dr. Jariwala is trained in treating combat-related PTSD, works with geriatric patients as well as adult psychiatry. Dr. Jariwala is also trained in acute crisis management dealing with psychosis. Dr. Jariwala gives each patient his focused attention, and he prides himself on delivering the best treatment available. He is sensitive to the uniqueness of each patient's situation and adapts his consultations and treatment options appropriately to accommodate individual needs and concerns. Jariwala obtained his medical degree from the Ross University School of Medicine. He completed his residency in psychiatry at Vanderbilt University, and his bachelor's degree at the Georgia Institute of Technology. He is board-certified in psychiatry by the American Board of Psychiatry and Neurology. Dr. Jariwala is a member of the American Psychiatric Association. He is Buprenorphine certified and ABPN certified.